The looting and selling of gems off the corpses of monsters can be very profitable and is recommended for both new and veteran players alike. 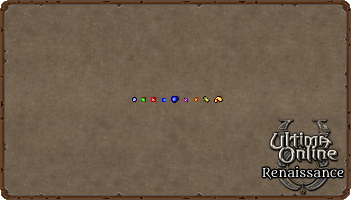 Gems can be sold to both NPC Jewelers and Provisioners. When selling a lot of gems to NPC vendors, razor sell agents are invaluable. It is important that you are getting the top dollar for your gems from NPC vendors. The amount of gold NPC vendors pay per gem is affected by their inventory. NPC vendors will stop paying default sell price after they have been sold 25 of any particular item. After 25 items, the vendor will pay considerably less per gem. This can be easily worked around by selling gems at a different jeweler or provisioner shop. Note: NPC vendors inventories will reset every hour, however are only checked once a player gives the [vendor buy] command. So before you begin selling again to a vendor after having waited the hour, say vendor buy, then begin selling.